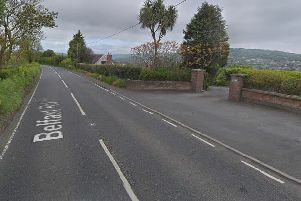 A section of the Portaferry Road near Newtownards has been closed to traffic following a collision, Trafficwatch NI is reporting. Diversions are in place and drivers are being asked to avoid the area. “Portaferry Road has been closed at its junctions with Finlay’s Road and Cunningburn Road following a collision. Diversions are in place, but motorists should avoid the area if possible. This is unrelated to the earlier collision near the sailing club. (11:37),” Trafficwatch NI tweeted.